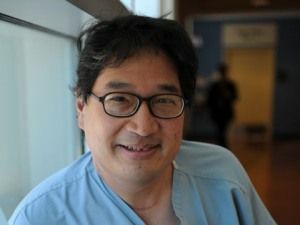 (Newser) – After a career spent saving children's lives as a pediatric surgeon, Dr. Donald Liu's final act was to rescue two boys from Lake Michigan. Liu, chief surgeon at the University of Chicago’s Comer Children’s Hospital, raced to the rescue when he saw the boys struggling after being knocked out of their kayaks by high waves, reports the Chicago Tribune. He managed to get the two 12-year-old boys to safety, but was dragged underwater by a rip current. His wife, also a surgeon, frantically performed CPR on him, but he was pronounced dead shortly afterward. Wonderful man. I'm sorry his family had to lose him but losing him as a hero is better than any other way, I suppose. Too bad the percentage who tagged this story as "Hilarious" didn't go under instead of The Good Doctor. What a beautiful human being, who counted his life as nothing compared with his deep and overwhelming desire to save and serve others. My sincerest condolences to his family, friends, colleagues and acquaintances. May the magnificence of his giving be a light in our hearts.